Magic: The Gathering MMORPG Will Be Free To Play | Nerd Much? Perfect World Entertainment will team up with Cryptic Studios again for yet another free to play MMORPG — this time, based on the Magic: The Gathering property. The upcoming MMO will be released on both PC and console, although a release window has yet to be given. Also, oddly enough, the game’s official title has not been revealed, nor any concept art of any kind. Basically, all we know at this point is that it will be based on the Magic: The Gathering card game. The press release that was sent out this morning initially only stated that the game would be a ‘AAA RPG’, with no mention of online play or multiplayer of any sort. However, given the history of Cryptic and Perfect World, we correctly guessed that it would be a new MMORPG (which we now know officially thanks to confirmation from Perfect World’s marketing team). 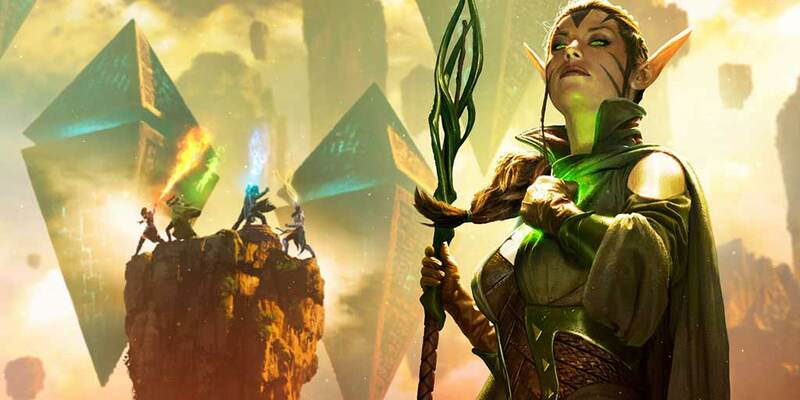 Our upcoming Magic: The Gathering game will be an MMORPG with a fresh take on the genre, having players experience what it truly feels like to be a Planeswalker. It’s certainly one of the more intriguing MMORPGs in development, given the fact that it’s such a popular franchise already and it’s being developed by Cryptic. For those unaware, Cryptic Studios is the developer behind Champions Online, City of Heroes (and Villains), and, most recently, Neverwinter — all three of which we included in our list of the best MMOs of all time. We’ll certainly keep you posted on the Magic: The Gathering MMORPG as we learn more, but for now, just know that it’s on the way. For more of the latest MMO news, stay tuned to Nerdmuch.com.